Synopsis: Laid-off blue-collar worker discovers that aliens have infiltrated society after donning special sunglasses. Intriguing plot is enjoyed by fans of campy sci-fi, who won't mind dated alien makeup and effects. 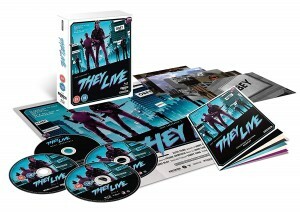 Alternate Title(s): John Carpenter's They Live, They Live!